Hosting Packages & Maintenance - Design House Studio Ltd.
We’ve been hosting clients’ websites for many years now, starting off with a small shared server, then our own rack-mounted unit, and now a fluid cloud-based solution tailored specifically for WordPress installs. The years we’ve spent nurturing and exploring the best solutions has resulted in us being able to offer a very reliable and affordable hosting package to our clients who need somewhere safe and secure to host their website. Our Standard hosting package costs £129/year + VAT and comes with an SSL certificate installed as standard, and backups of the whole site made daily. The server is UK based, engineered specifically for our WordPress builds, and performs very quickly and reliably. In addition to hosting websites, we also offer maintenance and update packages for clients that want to keep their WordPress site safe, secure and functioning at it’s best. We’ll host your site, as detailed above, but in addition we’ll keep the core WordPress framework, theme, and all plugins appropriately up to date each quarter throughout the year. This is a great way to make sure there aren’t any pesky bugs creeping into the site, caused by autoupdates or changes in API keys. If any plugin updates cause errors on the site they’ll either be fixed the same day, or plugins will be rolled back until more stable and bug free updates have been released by the creators. 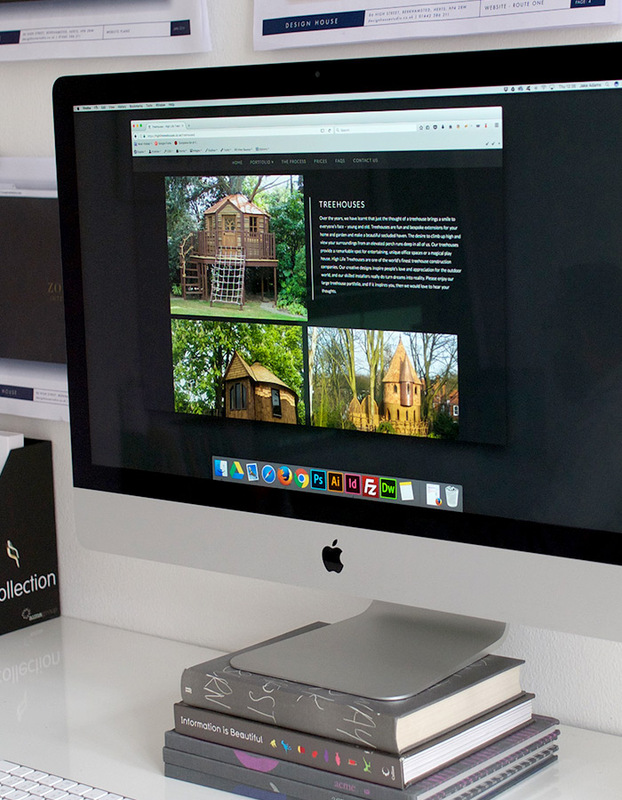 For our clients who need additional help keeping things updated and want to make regular changes to their site, we’re now offering ‘full website management’ as a service. As well as the standard hosting features detailed above, you’d have the freedom to phone or email us with any content updates you can think of and we’ll get them done as quickly as we can. Doesn’t matter if it’s a single word that needs changing, or a whole new page of content for the site. In this way you’d essentially be employing us as your in house web team, responsible for all aspects of your company website. The cost of this service will be sensibly negotiated with our clients, based on the projected workflow for the year. We’re a flexible design studio, and like to have close personal relationships with our clients, so we’re certain that a mutually beneficial arrangement can be found that gives you complete peace of mind as well as potentially reducing the cost of in-house staff. If you have any questions about our Hosting Packages or ongoing service level agreements, please don’t hesitate to get in touch. We’re happy to engineer a more tailored option if there’s something specific you’re after that isn’t covered here already.